K.C. 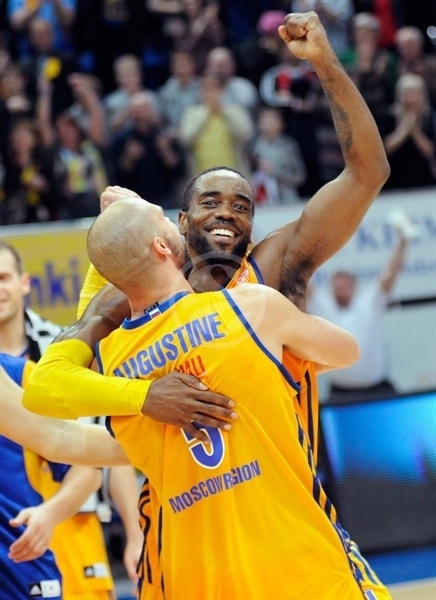 River’s buzzer-beating shot lifted BC Khimki Moscow Region to a thrilling 71-70 victory over Fenerbahce Ulker on Thursday evening in Russia. Rivers managed to grab the ball after Sergey Monya missed a three-pointer and threw it up a fraction of a second before the red light on the backboard lit up to signify the end of the game. 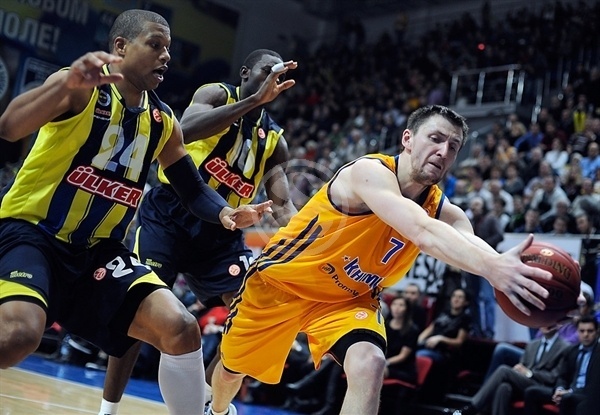 The thrilling victory puts Khimki into second place in Group A with a 4-2 record, while Fenerbahce drops to 3-3. Khimki started the second quarter with a 14-2 run to open up a double-digit lead, but the visitors erased it midway through the third quarter and the game was destined for a dramatic ending. 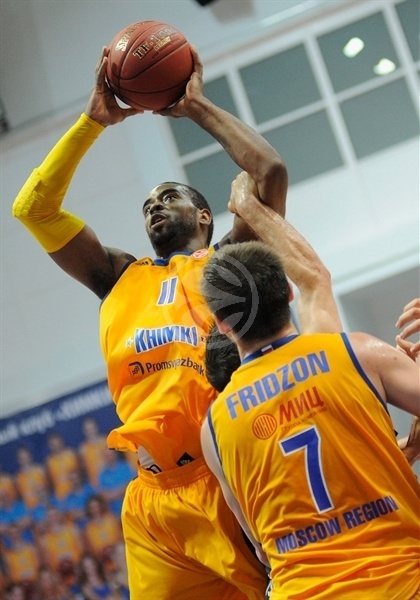 Rivers finished as Khimki’s top scorer with 14 points, Vitaly Fridzon scored 12 and Zoran Planinic had 11 points. 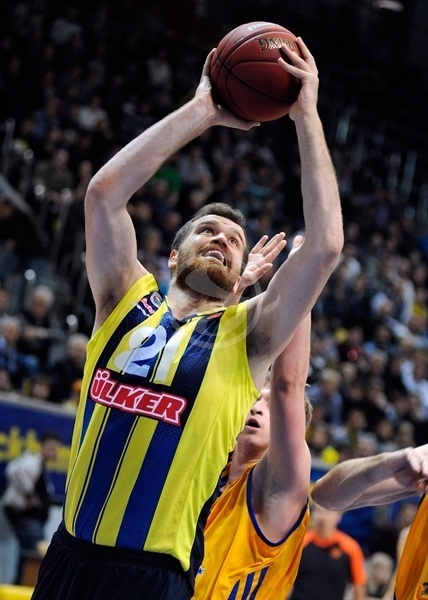 For Fenerbahce, which was without star point guard Bo McCalebb, David Andersen led visitors with 17 points plus 7 rebounds while Bojan Bogdanovic and Ermis Baris each scored 11 in defeat. Romain Sato got Fenerbahce on the board first with a put-back, but Petteri Koponen sank a three-pointer and Kresimir Loncar hit a fadeaway jumper as the hosts grabbed a 5-2 lead. After a slow start, both teams found offensive rhythm midway through the first quarter. Rivers scored twice inside for hosts, but Bogdanovic answered with a fastbreak dunk and Andersen got Fenerbahce going with a jumper and a triple for a 9-12 advantage. After that, the teams kept exchanging leads. Rivers dunked and Paul Davis hit a pair of mid-range jump shots to put Khimki in front, while on the other end Andersen and Bogdanovic scored inside and an Oguz Savas layup gave Fenerbahce a 17-18 lead after 10 minutes. Vitaly Fridzon opened the second quarter with a triple that sparked a 14-2 run. After a Bogdanovic slam, Davis, Zoran Planinic and Fridzon all scored inside and Sergey Monya hit a three-pointer and then a long jumper as the hosts surged to 31-20. 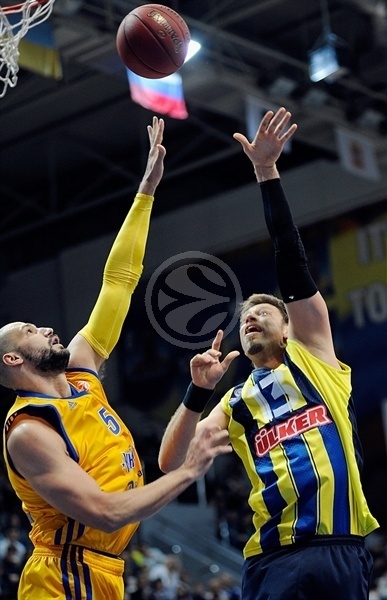 Fenerbahce was held without a single basket for almost five minutes before Andersen once again gave his team a lift. This time big man got help from Mike Batiste and Sato to cut the deficit to 33-26. However, Rivers and Alexey Zhukanenko hit triples to push the lead back into double figures and send Khimki into the break with a 39-29 advantage. 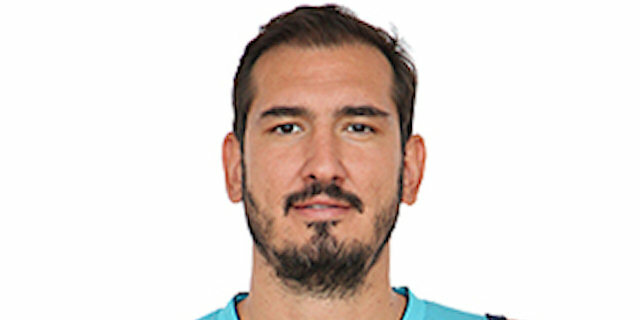 A triple from Sato started things in the third quarter and Bogdanovic added a pair of driving layups – and converted the second one into a three-point-play to bring Fenerbahce within 2. Planinic scored Khimki’s first field goal after more than four minutes of the third quarter, then added a layup-plus-foul. Matt Nielsen’s jumper and Fridzon’s layup extended the hosts’ lead to 48-39. The visitors had an answer in Baris Ermis, though, as he drove for three layups and scored 7 points before the end of the quarter. With baskets from Andersen and Preldzic in between, Fenerbahce got within 54-51 before a Nielsen layup made it 56-51 after the third quarter. Preldzic scored a fastbreak layup at the beginning of the fourth quarter, and Batiste added a basket-plus-foul to make it 57-56. Davis hit a tough turnaround baseline jumper to keep Khimki in front, but afterwards Fenerbahce’s defense held the hosts without a field goal for more than three minutes. Ermis and Onan tied the game at 60-60, and Preldzic split free throws to put Fenerbahce up by 1 point. Planinic drove the lane for a layup and then assisted Fridzon for a triple and a 65-61 Khimki edge, however Preldzic and Ermis made layups before Onan sank a shot from downtown for 67-68. Loncar hit both free throws, but Andersen answered with a put-back making it 69-70 with 55 seconds to go. Play continued as the coaches decided not to call timeouts. Loncar and Andersen were again in leading roles, this time both missing from close range, which left Khimki with 9 seconds to go the full length of the floor. Monya released and misfired on a three-pointer, but in the big crowed in the paint Rivers managed to get to the ball and shoot just in time before the buzzer to bring Khimki a huge victory. "Every time we say that our group is very tough; in many games the result is decided in the last seconds. 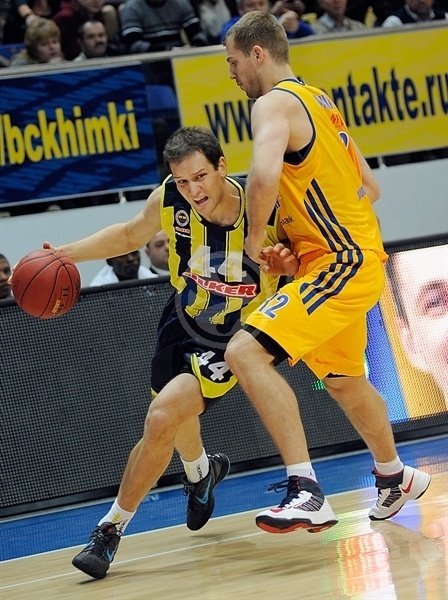 Maybe today Fenerbahce Ulker was not in the best condition, but due to its experience they played hard. I would like to congratulate our guys on the victory in such an intensive game. It means that we made more of an effort than our opponent. For sure, there were some mistakes and not high effectiveness. But the main point is that we won because of our desire." "It’s a difficult time for us. We built our team around Bo McCalebb and without him Fenerbahce doesn’t have its identity. It’s not easy because we have a new team and today we had to change our point guards. But the players showed the right mood. We fought until the last second, but unfortunately we lost. It’s important from the point of view of the overall standings in our group. I don’t know what would be if McCalebb had been today on the court. We will try to get him back as soon as possible. One shot decided the game; we had to defend in the very end, but made some mistakes." "I feel great after this win because it was very important to take the victory at this moment. For sure we could play better, but we did what we did. 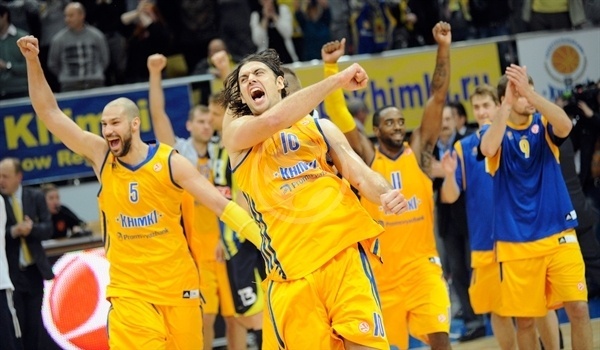 To win in the Euroleague against such a strong team like Fenerbahce Ulker is great. I feel good right now, I’m in a good rhythm and trying to help the team as much as I can. I suppose we played pretty well, have confidence and will prepare for the crucial game on the road with Real Madrid next Friday. 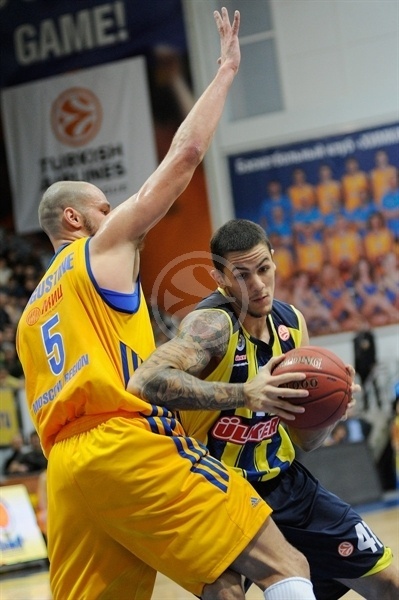 Fenerbahce has a lot of good players apart from McCalebb, he is a big focus for that team. I must point out David Andersen, who gave them a lot of rhythm and energy." "We played a bad first half, were down by 10 points and in the second half our team played better. We caught up, but it was not enough to win. We changed some things during the big break, became more aggressive and fast in the offense. Baris Ermis played very well, we made a comeback and had a chance. We are waiting for Bo McCalebb to recover, because he will help us a lot."